Franchise agreements with parent companies lead to a very common second question, whether to lease or buy a location for the new franchise. Although leasing provides more flexibility in location and maintenance, it does not give franchise owners complete control of the location. A franchise is an agreement with a parent company to sell that company's products exclusively in a certain area without competition from others selling for that parent company. The most common example of franchises are fast food restaurants, such as McDonald's or Burger King. Those who lease space for a franchise have the advantage of usually finding property with a better location that encourages more business. Further, a landlord has the responsibility of maintaining the building and ensuring maintenance in such areas as plumbing, heating and cooling. 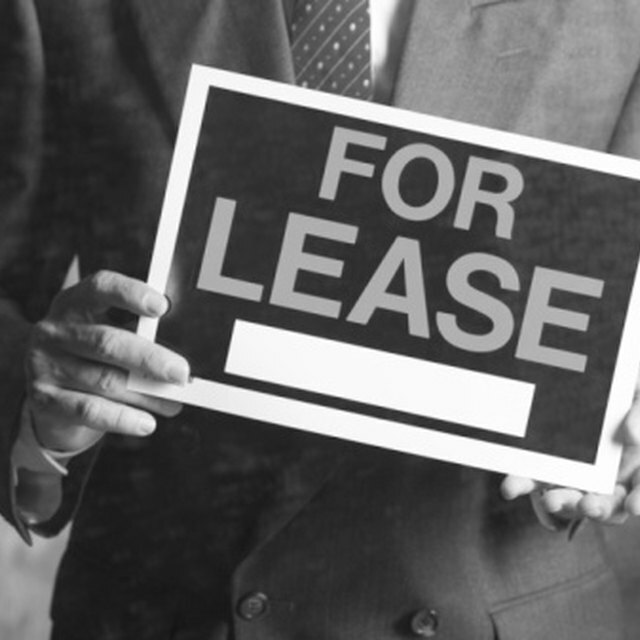 When leasing a space, the franchise owner gives up some control of the business to the landlord of the property, who can determine some key elements concerning the franchise. These include operational hours and building layout, which can affect profits. When leasing, the franchise holder must get all agreements in writing to defend what can be done to the property and the specified hours of operation. The lease defines the ability of the franchise to operate within certain legal parameters. What Is a Keyholder Agreement? John Mack Freeman began work in 2009 as a freelance writer with a focus on articles in health and wellness and contemporary arts and entertainment. He has been published through various websites, specializing in health care and craft-related topics. Freeman earned his Bachelor of Arts in English from Shorter College.